This recipe was inspired by my friend, LaShaun. We were talking about food (we do that a lot), and she mentioned that her husband didn't like spaghetti noodles. She said she always serves his spaghetti sauce over rice. I thought that was very interesting. I remembered that I had a taco rice recipe, so I doctored it up and turned it into spaghetti rice! 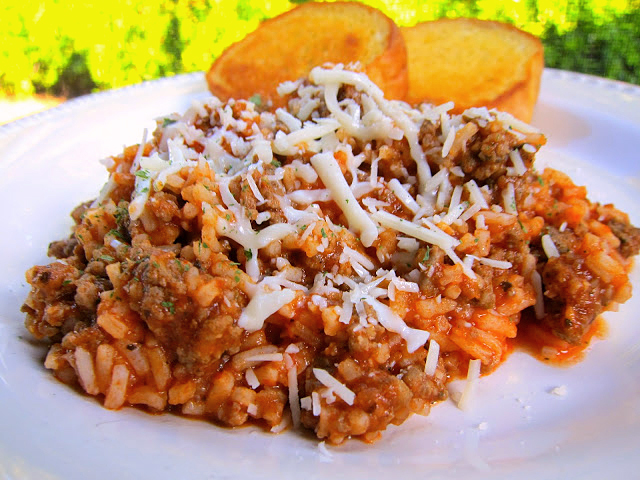 This was really good and a fun twist to traditional spaghetti. This makes a ton. Fortunately, it is great reheated. I had some for lunch the next day and it was just as good as the night before. 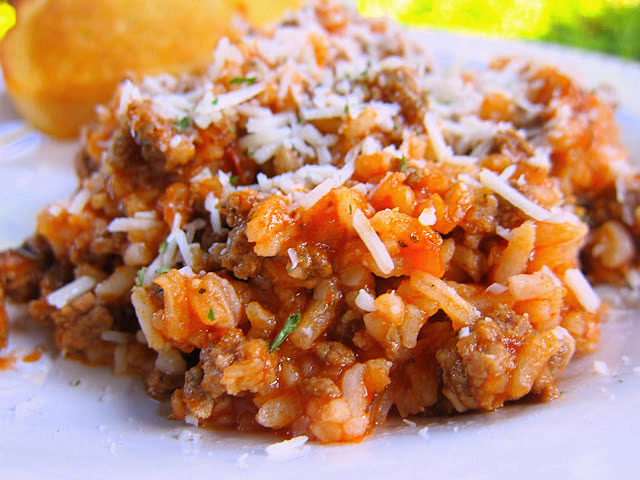 Serve this with a nice piece of garlic bread for a quick and easy weeknight meal! Brown the meat in a skillet and drain off fat (I use a collander). Return the meat to the skillet; add the Italian seasoning, garlic, onion flakes and water, mix and simmer for 5 minutes. 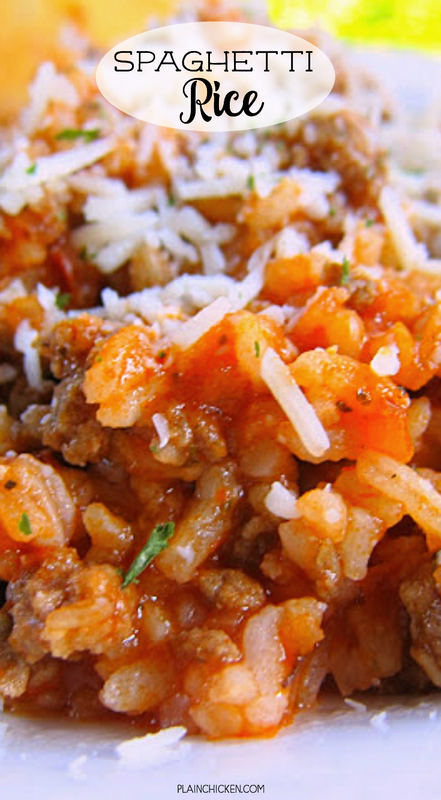 Stir in the tomato sauce and rice. Heat in skillet for 5 -10 minutes, until heated through. Top with parmesan or mozzarella cheese. I love spaghetti rice. 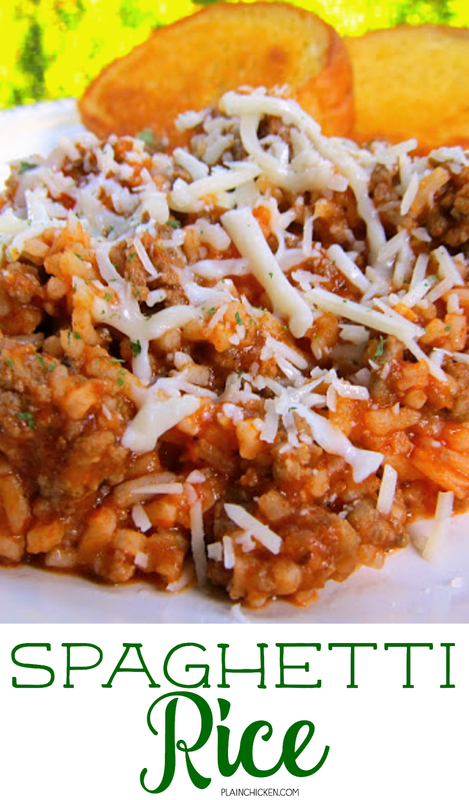 We make this often with our leftover sauce from the night before. Reheated pasta doesn't taste quite the same and pasta two days in a row doesn't work for me. It's amazing how reheated rice can sometimes even taste better the second day! Nice sauce recipe! Looks really yummy! My family would enjoy this one! This will rock Trevor's plate, he loves dishes like this. What a unique twist on spaghetti! Especially with sausage - my family's favorite! They would love this. My family LOVED this meal they definitely want it as a make again. Three thumbs up. 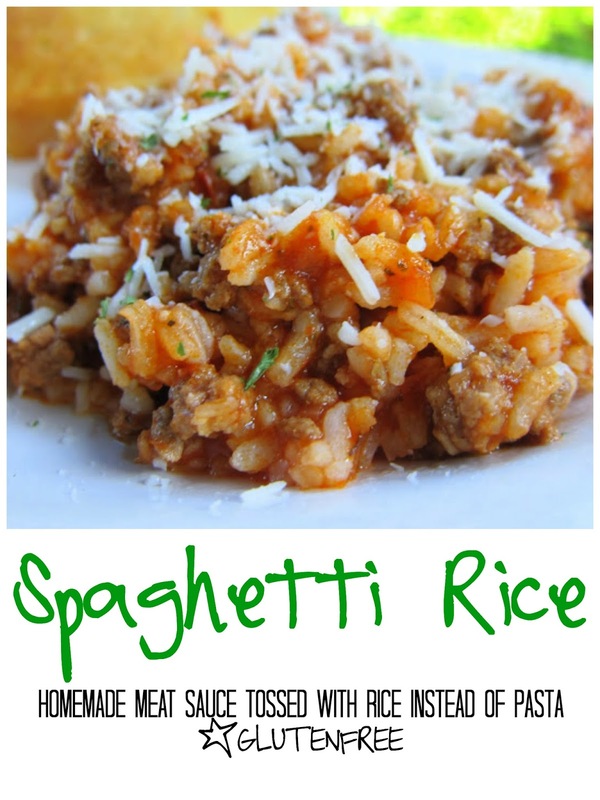 I made this last night, after browning the sausage, I also used instant rice (and snuck in some finely chopped spinach) put it all the crockpot.. it turned out surprisingly good and the kids loved it too.. thanks for the idea! !